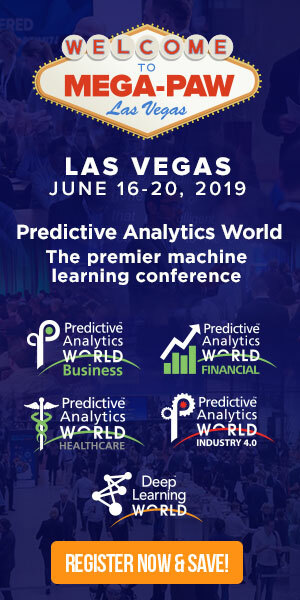 As healthcare providers collect more data on patients than ever, and plan to use to predict care episodes, healthcare need to understand the ethical implications, according to experts speaking at the Predictive Analytics World Healthcare conference in Boston Tuesday. Right now, the lines are blurry. “We had a case we saved someone’s life by looking at their Facebook page,” said one doctor in attendance. Another person in the audience said his healthcare system did research on patient balances, and found more women on the list than men. To not unfairly target women, gender was taken out of the model, even though they knew the result wouldn’t be as effective. The role of the consumer in collecting healthcare data, and the ethics of using the vast amount of online information to help a patient, were the focus of two forums at the conference. “What is the balance between science and ethics?” asked Conference Chairman Jeff Deal. One issue that contributes to inconsistent ethical standards is the lack of regulations around practices such as predictive analytics. That’s because regulations have not caught up to technology, according to Ken Briggs, a healthcare attorney with Poisnelli. Even “informed consent” is ambiguous, he said. Dr. Michael Dulin, chief clinical officer for analytics and outcomes research at Carolinas Medical Center, said with limited resources, 1 percent of data that’s more predictive can impact 10,000 lives. “Transparency is really the right way to go,” he said. Ken Yale, vice president of clinical solutions ActiveHealth Management, said he could get data on everyone in the audience, from their cooking to mall buying propensity. But health information could be used make a patient better, he said. Dr. Deborah Estrin, a computer science professor at Cornell Tech and professor of public health at Weill Cornell Medical College, said smartphones have played a major role in making patients some of the best sources of data.